COLOR(S): White with yellow or orange markings. COLOR(S): Pure black or salt and pepper. The Giant Schnauzer is a large, powerful, elegant, compact dog with bushy eyebrows, whiskers and a beard. This breed has a harsh, wiry outer coat and dense, soft undercoat. Ideally, the dog's height is the same as the length, resulting in a rather square impression. It is active and energetic. This breed is very intelligent, calm, loyal and responsible. It may be aggressive with strangers and will make an excellent watchdog. The Schnauzer family comes in three sizes; giant, standard and miniature; each considered separate breeds. The Giant Schnauzer is a devoted and good-natured companion that adapts easily to its surroundings and its owner's lifestyle. It is very reliable and good with children. It is bold, spirited and very protective; it makes an excellent watch-dog and guard-dog. It can be fairly reserved with strangers. The Giant Schnauzer is a dominant breed that needs firm and consistent, training with a positive attitude and plentiful rewards. The Schnauzer needs a strong confident, and patient owner. This breed is very intelligent and responsive; it is easy to train. The Schnauzer enjoys mental and physical activity; it will become bored with repetitive exercises. 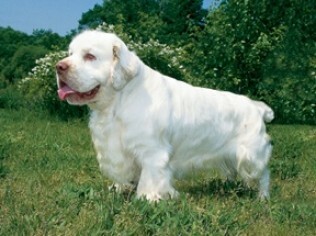 This breed is dominant with other dogs and should be socialized extensively both with other dogs and people as a puppy. It is usually good with other pets if properly socialized. The Schnauzer is known to do well in various sporting activities, especially defense dog trials. This energetic dog will take as much exercise as it can get, and just loves off the leash play sessions during which it can run free. At the very least, it should be given a long, brisk, daily walk. This breed needs a lot of exercise in puppy hood to prevent it from getting restless. Harsh, hard and wiry, dense undercoat. Brush the wiry coat daily with a short wire brush to prevent matting. The coat should be stripped to prevent it from becoming soft and woolly. Pluck the coat twice a year -in spring and fall; trim around the eyes and ears with a blunt-nosed scissor and clean the whiskers after meals. It has no doggie odor and sheds little to no hair. Hip and elbow dysplasia and eye diseases. Giant Schnauzers may also suffer from orthopedic problems, albinism, epilepsy, hypothyroidism and renal problems. Giant Schnauzer are an energetic dog and requires daily exercise of a long, brisk walk and off the leash play sessions. Giant Schnauzers enjoy mental and physical activity and are responsive and easily trainable, but will become bored with repetitive exercises. Keep in mind that they have their own ideas and will not follow every command. Giant Schnauzers are known to do well in various sporting activities, especially defense dog trials.